Potential car buyers spend so much time focusing on which car they’re going to purchase, they forget that it’s equally important to research the ideal car seller. Dealerships have seemingly been flooding cities, so as a buyer, you certainly have plenty of options. However, if you’re seeking a Chevy dealer in Albany, New York, you don’t need to look any further than DePaula Chevrolet. This dealership offers an array of new Chevy vehicles, and also sells a variety of used and certified pre-owned vehicles. With more than 1,000 vehicles to choose from, customers can be assured that their ideal vehicle is sitting on DePaula’s lot. DePaula’s vast inventory isn’t the only reason why DePaula has been voted the number one volume Chevy dealer in the capital region for two straight years. The dealership also offers its customers a financing option, meaning they don’t need to scrounge for the necessary money from a credit union or bank. They also provide a knowledgable and trustworthy service department, meaning you won’t need to look elsewhere if you’re looking to fix up your new Chevy. Are you seeking a new Chevy? While other dealerships may have a limited supply of the brand’s vehicles, DePaula has decided to specifically focus on all of Chevy’s new offerings. Instead of having to settle for a Chevrolet vehicle that you may not have been pursuing, you can be confident that you’ll find your targeted car sitting on DePaula’s lot. After all, the dealership currently has more than 700 new cars for sale, and the inventory is varied enough that these offerings should satisfy any buyer. DePaula has at least 50 new Chevys that are priced south of $20,000, and thanks to the dealership’s array of rebates and discounts, you’ll surely secure a fair and reasonable deal. For those with a bigger budget, you can appreciate some of the business’s more luxurious vehicles, like the 2017 Chevy Corvette (priced at around $101,000). Fortunately, customers aren’t limited to new Chevys. The dealership offers a random assortment of other brand’s new vehicles (like the $168,300 2017 Maserati Quattroporte), as well as nearly 300 used options. Speaking of used cars, the dealership even has several certified pre-owned vehicles, which are non-new cars that have been backed by the brand or the dealership, thus making sure customers that they won’t run into any issues (or, if they do, that they’ll have some form of protection). In fact, DePaula is the top Chevrolet Certified Pre-Owned Dealer in the entire northeast. Therefore, if a customer is worried about the quality of a used vehicle, they can switch their focus to these reliable alternatives. As a result of all these different offerings, the dealership can truly cater to any type of customer, regardless of their financial situation. This is just one reason why DePaula is at the top of the class among Chevy sellers. 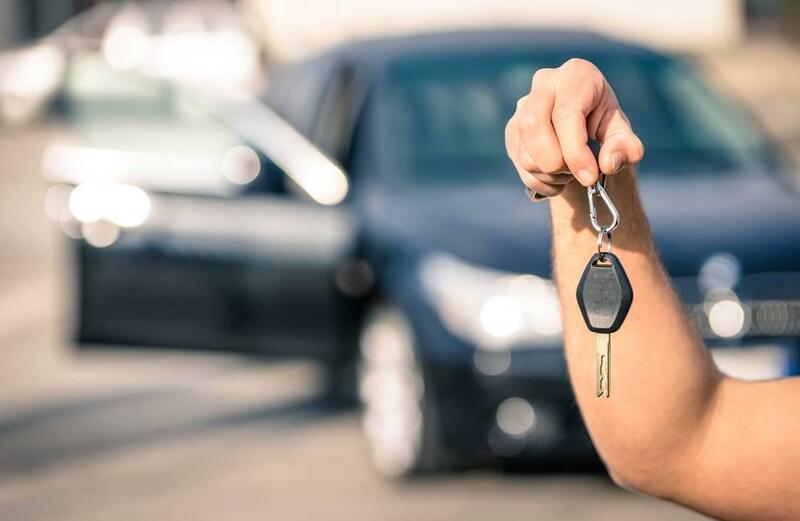 Regardless of your financial situation, there’s a good chance that a buyer will require some sort of monetary backing when they look to purchase a vehicle. While some dealerships require their customers to secure that money from a bank or credit union, DePaula offers to finance the targeted vehicle for their customers. To make it even better, potential customers can fill out a financing application on DePaula’s website, saving them plenty of time and hassle. Therefore, these potential buyers can be pre-approved for a loan or financing before they even step foot inside the dealership. DePaula’s website provides a number of additional resources that will help a customer as they’re trying to sort through their finances. The payment calculator (which accounts for interest rate and the loan term) should provide some clarity on how much money these buyers will be dishing out each month. Meanwhile, if a prospective customer is looking to swap one vehicle for another, they can get an idea of the anticipated trade-in value for their soon-to-be former car. Well, since you’ll be relying on DePaula for purchasing a vehicle and for financing, why would you end your relationship there? Unsurprisingly, the dealership also provides owners with a reliable and affordable service department. Thanks to the staff of expert technicians, owners can have their car repaired in no time. Owners can schedule an appointment (via DePaula’s website) for any of the dealership’s maintenance offerings. The collision center will fix up your exterior to make it look like new, while the oil change and tire department will check that all of your vehicle’s mechanics are up to par. If customers prefer, they can even order Chevy parts via the dealership and repair any issue themselves. There’s even a custom detailing center, so drivers can customize their vehicles to their liking. Need even more convincing? DePaula has won a variety of different awards, including the GM Dealer of the Year Award (six times), the Chevrolet Genuine Leader Award (six times), the General Motors Standards of Excellence Leadership Award (seven times), the General Motors Mark of Excellence Award (seven times). Best of all, customers won’t have to wake up early or rush out of work in order to visit DePaula Chevrolet. The dealership is open until 8:00pm from Monday through Thursday and until 6:00pm on Friday and Saturday. Meanwhile, the service department and parts department are open until 6:00pm from Monday through Saturday. This just skims the surface of what this dealership can provide. If you’ve been looking for a Chevy dealer in Albany, New York, there’s no reason why you shouldn’t be visiting DePaula Chevrolet today!